Rocking Reggae Benefit For Medical Marijuana Provider Roger Mentch! 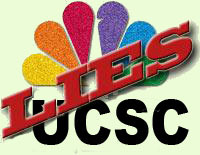 UCSC Vice-Chancellor of Communications lies to the media about police brutality at Tent University. "'No, no, there were no batons, there were no Tasers. Someone said there was a Taser (gun) used. No, there was no force of that sort,' UC Santa Cruz spokeswoman Elizabeth Irwin said." I was personally batoned by a cop in my stomach as were several other students. We have pictures of bruises to prove it. Also, we were not locked down in the tent. We were peaceful bystanders who happened to be standing in the path of riot police. They did not ask us to move, they simply started attacking students with batons. We have documented these attacks with several photos and videos and everything will be online within the next 24 hours. Previous TUSC features: Tent University Santa Cruz, April 18-22: Claiming UCSC As Our Own || An Open Letter to the Campus Community from Lit Grads || TUSC Direct Democracy Forum Votes To Stay Put || Suddenly, the Cops Ran Away and the People Rejoiced! 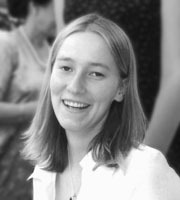 Rachel Corrie, a volunteer with the International Solidarity Movement (ISM), was killed by a D-9 Caterpillar bulldozer driven by Israeli soldiers on March 16th, 2003 while non-violently attempting to prevent the demolition of a Palestinian family's home in the refugee camp of Rafah, Occupied Gaza. There has never been an independent investigation into her killing. On Tuesday, March 8th, legal proceedings started in the trial of Roger Mentsch, local medical marijuana provider and in-home caregiver. After waiting nearly two years to stand trial, Mentsch is facing several charges that could possibly result in over ten years in prison. Local medical marijuana patients and humanitarian activists are rallying around Mentsch, claiming the charges are the result of a witchunt by the District Attorney looking to make an example out of Mentch despite his status as a certified medical marijuana provider. On June 6th 2003 the home of Roger Mentch was raided by the Santa Cruz County Sheriffs drug task force. A warrant was issued because the money smelled funny, Monterey Bank stated. At 7:30am guns were drawn on Mr. Mentch as well as his girlfriend and 8 year old daughter. FRSC: Interview with Ron Anicich of Bad Cop, No Donut! Skidmark Bob interviews Ron Anicich of Bad Cop, No Donut! before a media attack. Toronto Police Chief Julian Fantino says Bad Cop, No Donut! promotes hatred of the police [see: Get 'hate mongering' off air: Fantino]. Ron talks about the show and support from CKLN. It will be interesting to see how this develops. A commenter writes: Another critic who needs our support and solidarity! Put him on the list with Ward Churchill and Lynne Stewart, with Free Radio and WAMM. Seems like critics are getting silenced quick and fast in the third Bush administration. 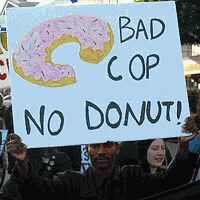 Bad Cop No Donut, for those who aren't aware, is an excellent weekly digest of nationwide accounts of Police Brutality, from lawsuit settlements and legal decisions, to off duty officer conduct and corruption, to taser use, deadly force, and stories yet to be told. Anicich gathers all the PIC [Prison Industrial Complex] news he can find and puts together a weekly compilation. Audio: Part Two: Interview w/ Ron Anicich of Bad Cop, No Donut! Stanley “Tookie�? Williams, co-founder of the Crip street gang in Los Angeles, was executed in San Quentin Prison on December 13 just after midnight. California Governor Arnold Schwarzenegger coldly and callously refused to grant him clemency, saying that “the facts do not justify overturning the court decision.�? Even though Tookie Williams had changed and became a very outspoken advocate against gang violence and for peace. They showed him no mercy. But it is deeper than this. In a highly political statement, Schwarzenegger also said that Tookie Williams' 1998 book Life In Prison was “dedicated to people like Assata Shakur, Mumia Abu Jamal�? and particularly “Black militant George Jackson�? which, according to Schwarzenegger, “is a significant indicator that Williams is not reformed and that he still sees violence and lawlessness as legitimate means to address societal problems.�?